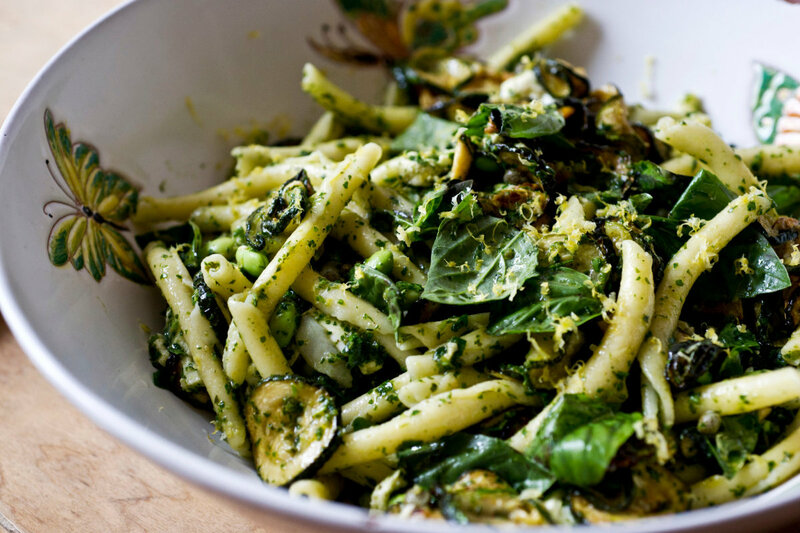 The top-recommended recipes our team is making this summer. 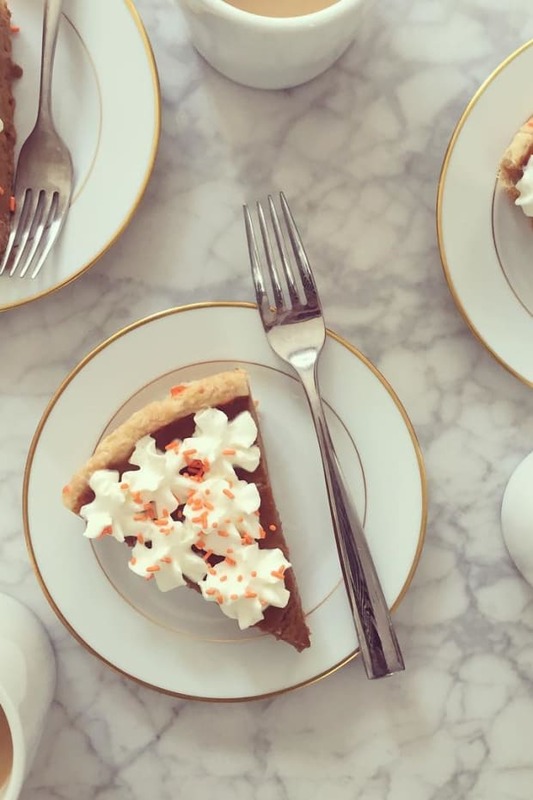 Our entire office is a bit food-obsessed, so the majority of our office outings are centered on eating—whether trying out a new restaurant, or grabbing a sweet at the dangerously close donut shop. Each morning, we talk about the dinners we cooked or ate out the previous night (when we aren&apos;t discussing the latest episode of The Bachelor). 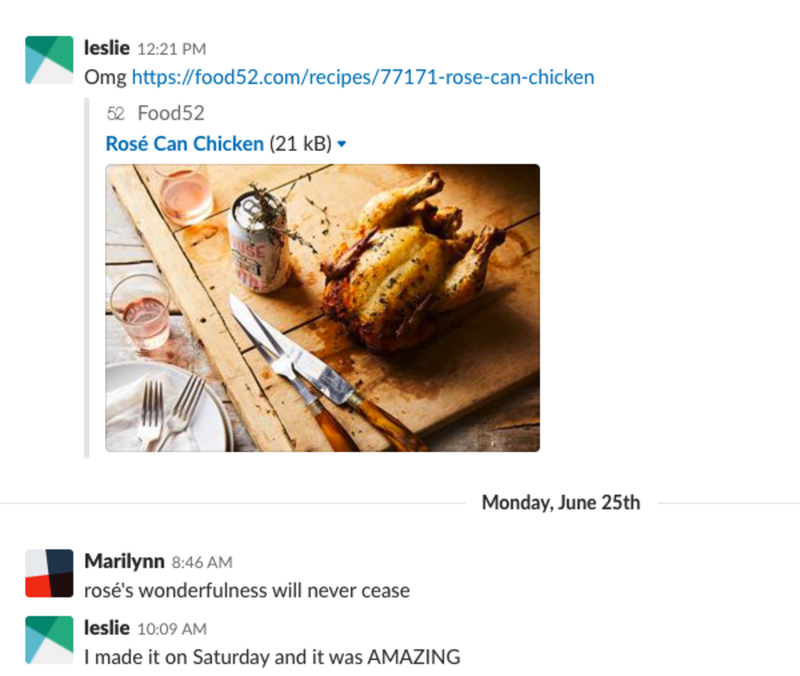 Though I keep a running list of recipes to make with G, my own list has recently been out-shined by our office Slack conversation, where our team posts links to recipes they made the night before, or intend to make soon (see a few snippets below!). 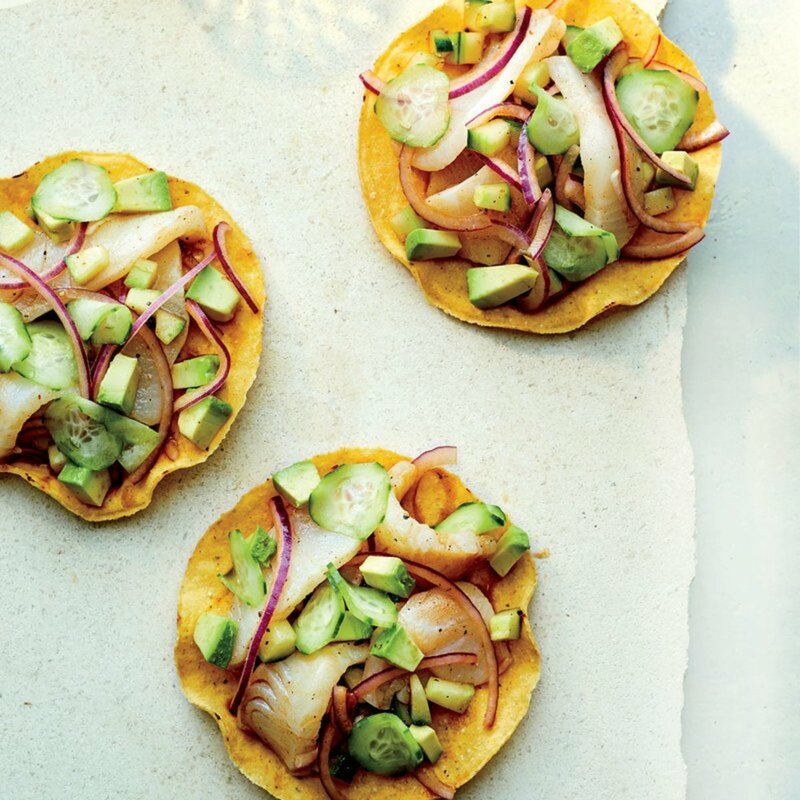 While G and I frequently broil or sous-vide salmon for dinner, we rarely experiment with fish recipes beyond that &apos;safe zone.&apos; This Northwest Mexican dish though (which cures the sea bass so that it approximates the texture of scallops) has me tempted to try! 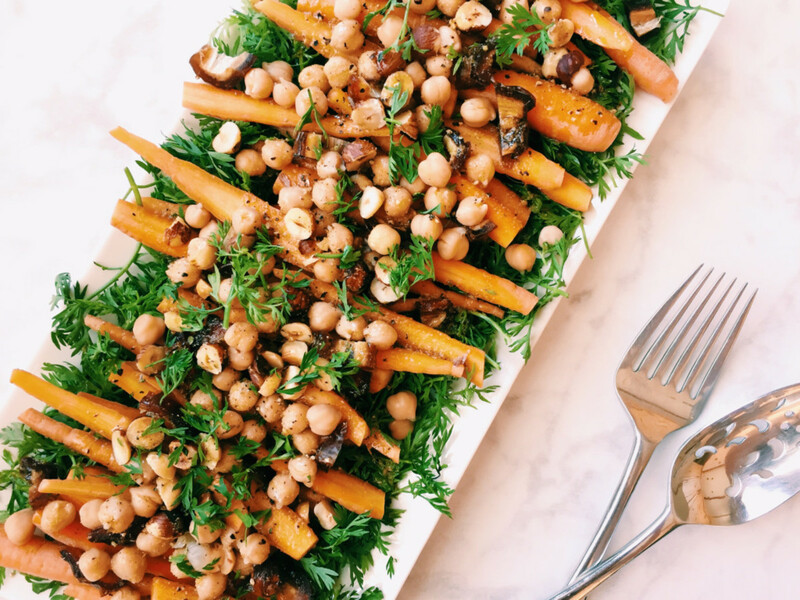 The only element that requires turning on a burner in this recipe are the fried chickpeas, which add a welcome crunchiness to an otherwise raw and fresh salad. 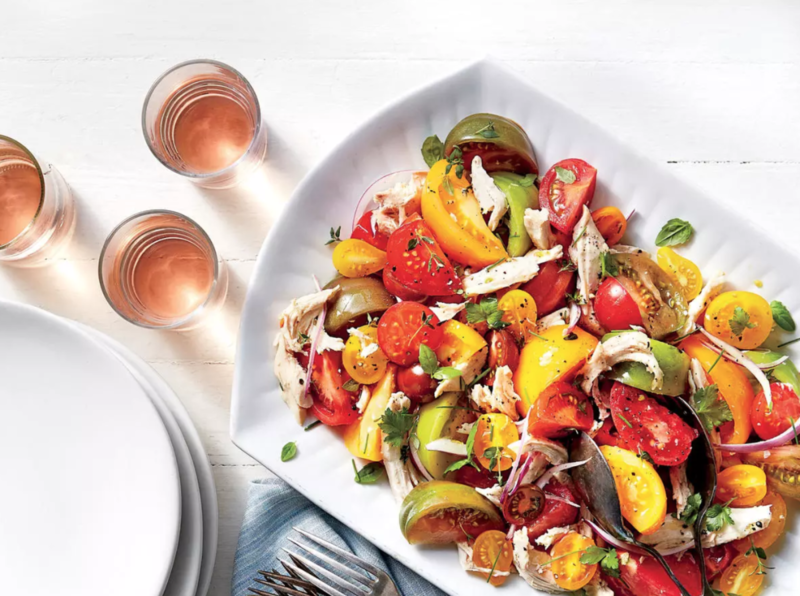 This dressing isn&apos;t that far off from one I already make, but I love the presentation here with a full wedge of lettuce and fresh farmer&apos;s market tomatoes. 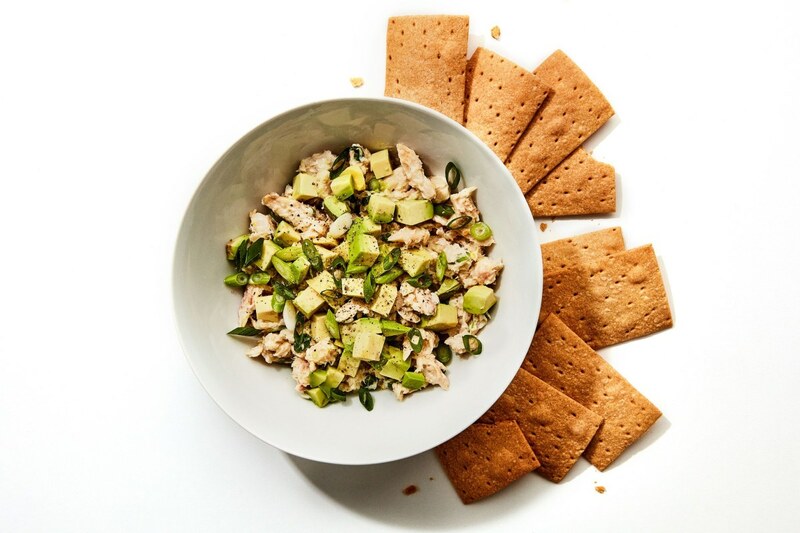 A few months ago, Leslie made this salad and brought it into the office every day for a week straight in different forms—over salad greens, in a sandwich, on top of avocado toast, as part of a grain bowl. It&apos;s a clever way to make the most of one recipe, without getting tired of it. 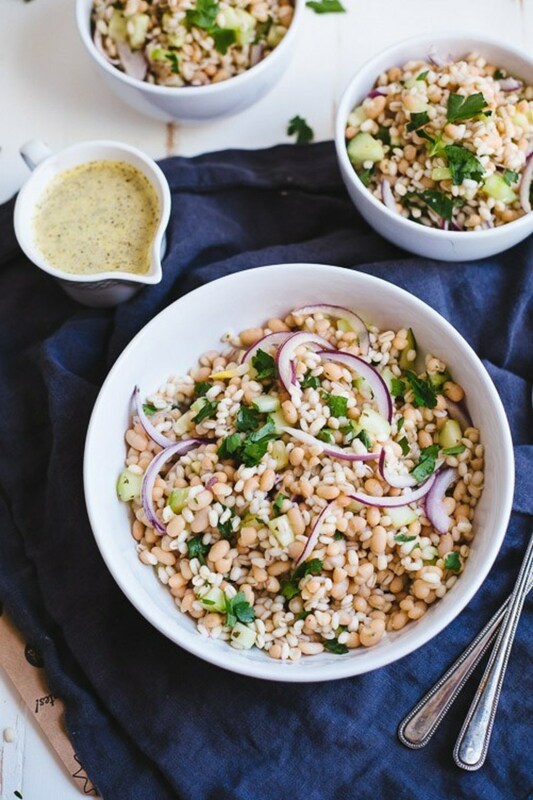 Our intern Caroline recently shared this recipe after she and Leslie did goop&apos;s summer reset. 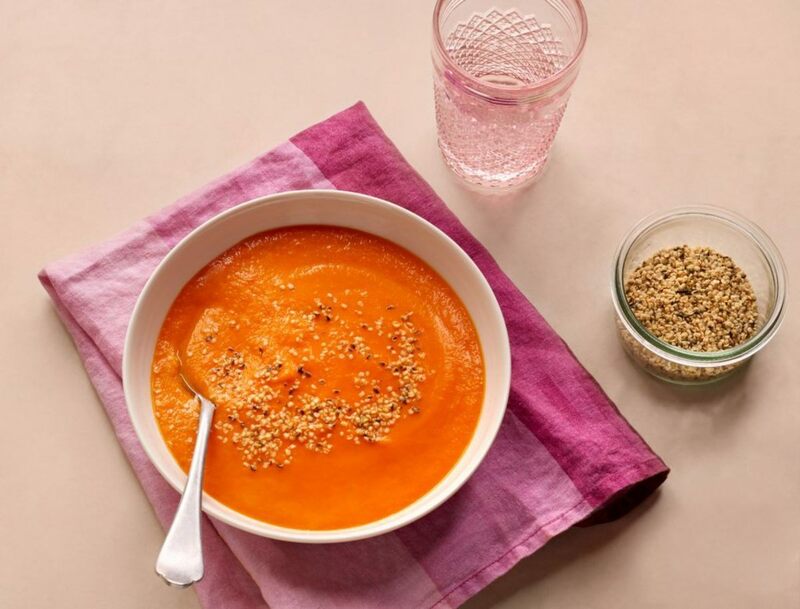 While I&apos;m not sure how I feel about &apos;detoxes,&apos; this soup is one I&apos;d make any time, and is a great way to get a bunch of vegetables in one take. 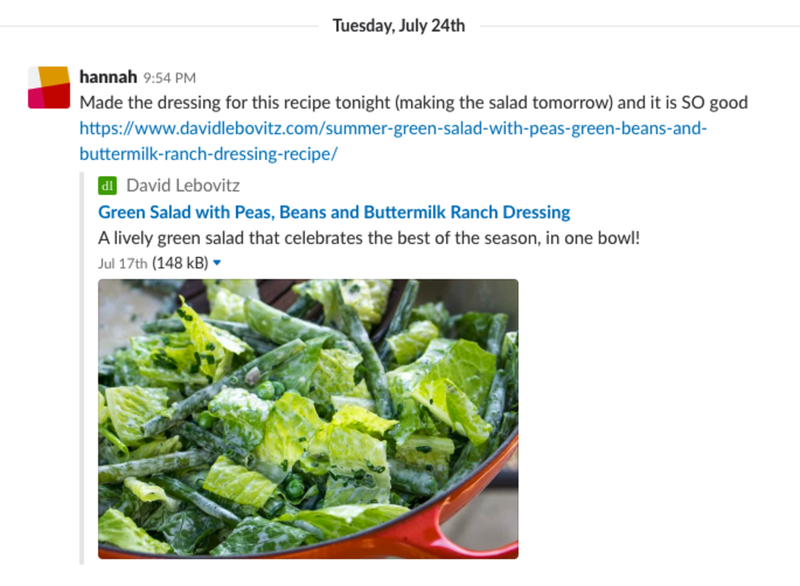 This salad is deceptively simple, but that&apos;s exactly why it made it into the Slack channel. The chicken makes the base of tomatoes filling enough that I&apos;d have it with a piece of toasted bread and some goat cheese, and be set for dinner. 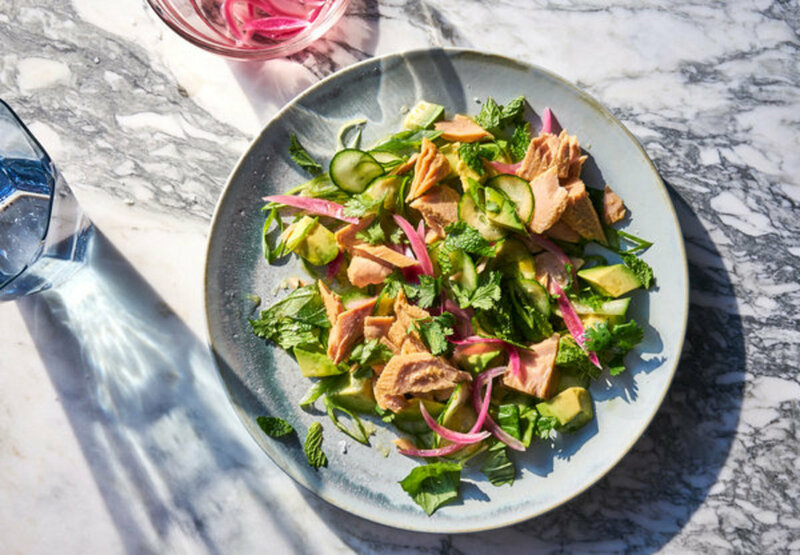 As much as I love the idea of ceviche, this version—which uses smoked trout—feels much safer, but with a similar outcome. 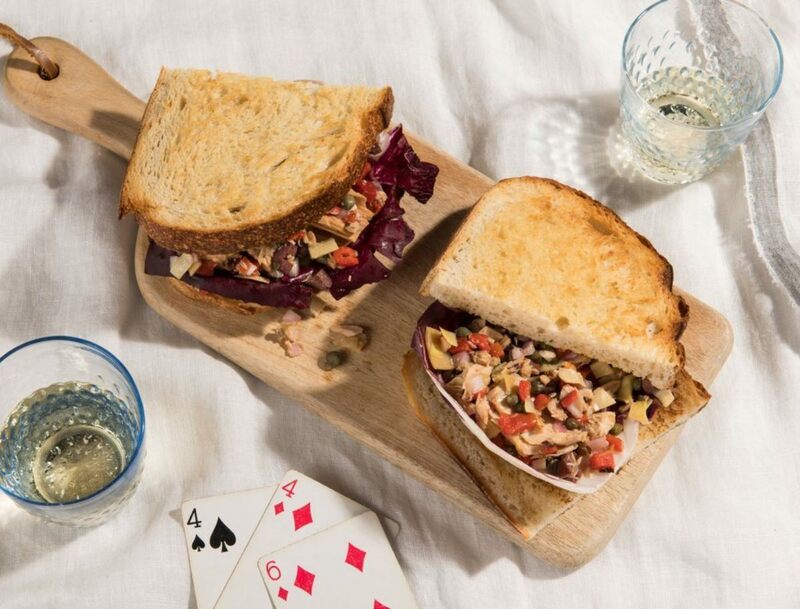 I don&apos;t usually eat sandwiches for dinner, but I&apos;d make an exception for this one which feels just as sophisticated as a grilled salmon bowl. 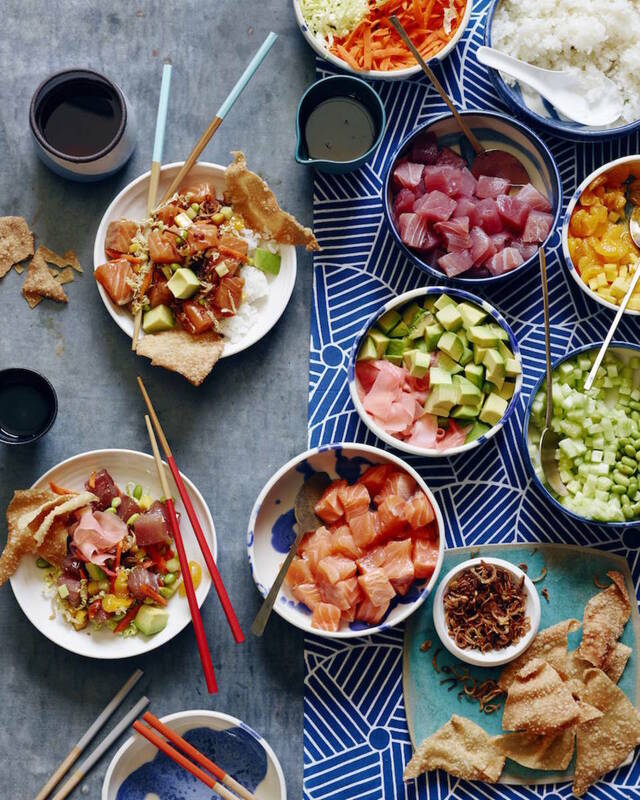 As averse as I am to cooking with raw fish, I love a poke bowl. If I gather the courage to make it myself at home, I&apos;ll be emulating this gorgeous spread from Gaby. 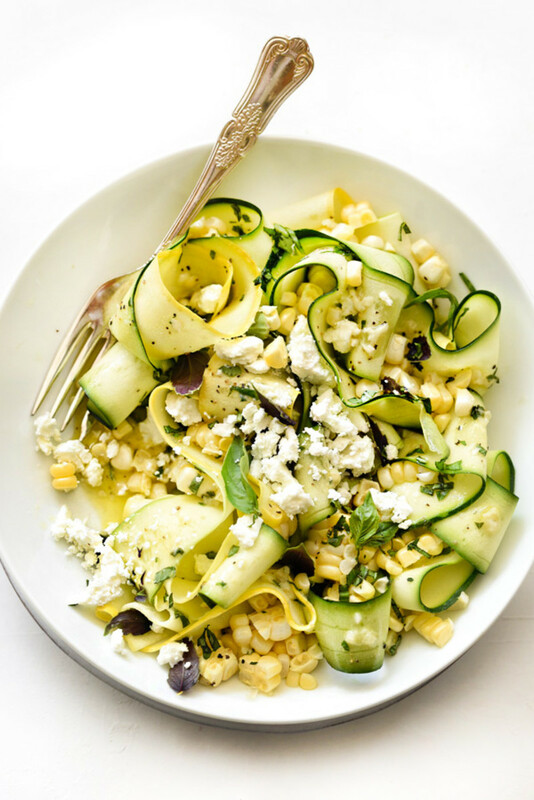 The combination of seasonal ingredients in this salad immediately caught my attention—from fresh corn to basil and zucchini noodles. 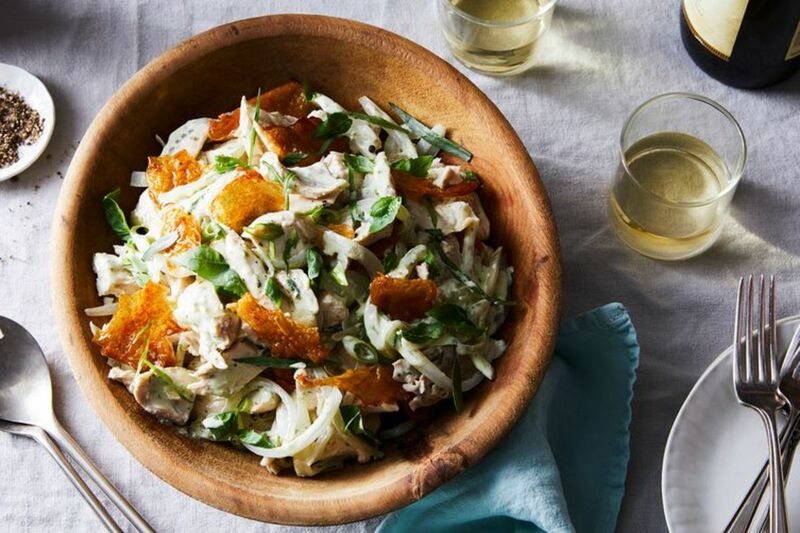 Heidi Swanson&apos;s recipes have been recommended to me countless times by readers, and this fresh salad looks like a delicious, citric summer option. 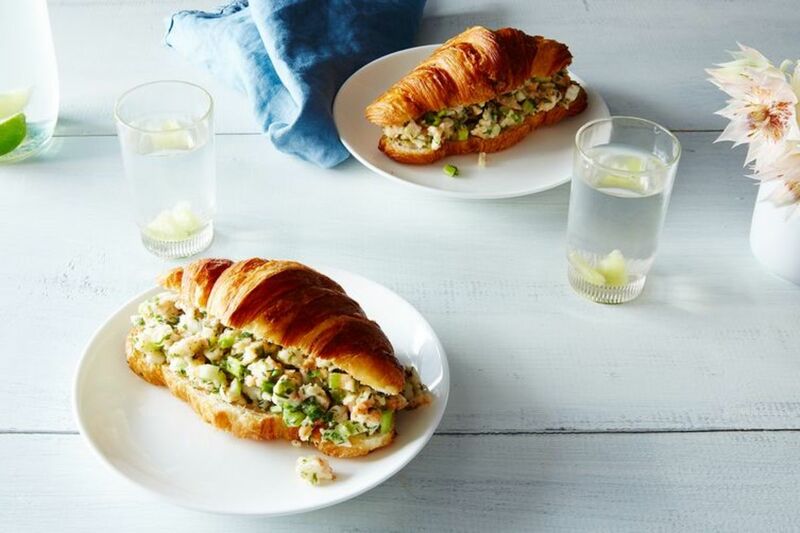 I&apos;ve never met a lobster roll I didn&apos;t want to eat, so I&apos;m intrigued by this shrimp salad (not to mention the fact that it&apos;s served on a croissant). 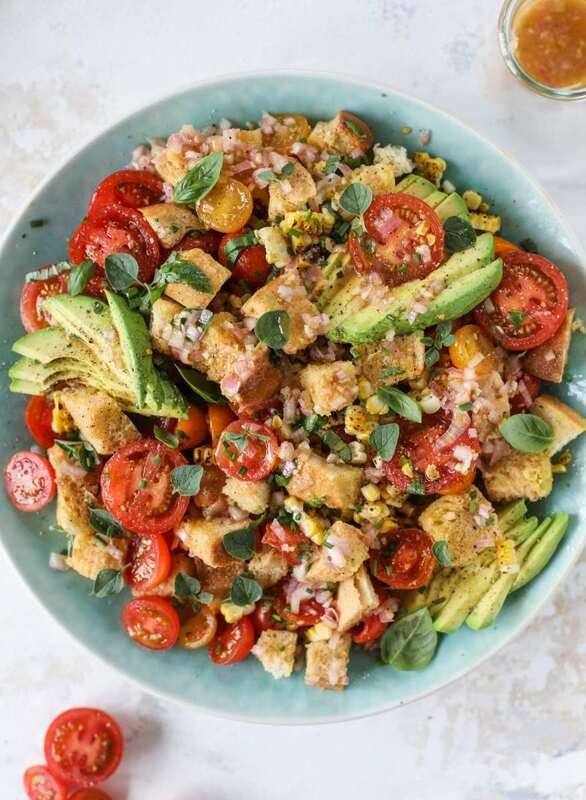 In my mind, there&apos;s pretty much no better Panzanella than Ina Garten&apos;s, but I&apos;m curious to try this updated take which uses corn and avocado as well. 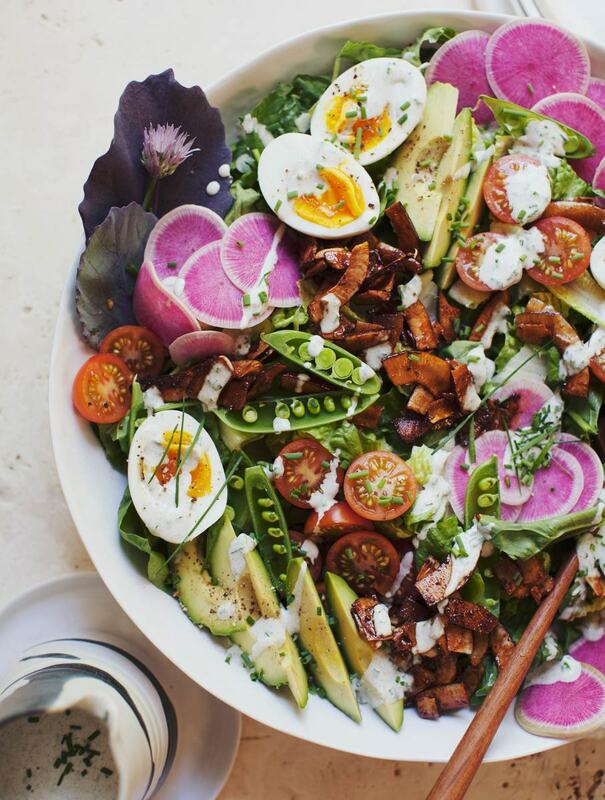 There&apos;s so much going on in this salad it&apos;s difficult to imagine what it&apos;d even taste like, but I love the incorporation of the watermelon radish and snap peas (though I&apos;d probably substitute the coconut bacon for the real thing). 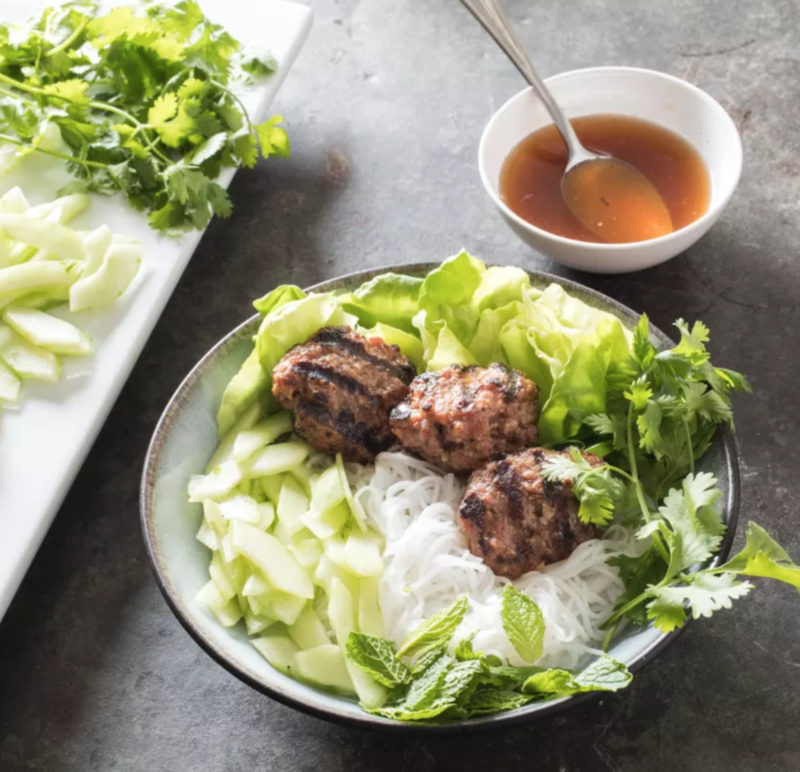 I&apos;ve never been led astray by a Cook&apos;s Illustrated recipe, and this one—a take on a classic Vietnamese dish—looks particularly good. 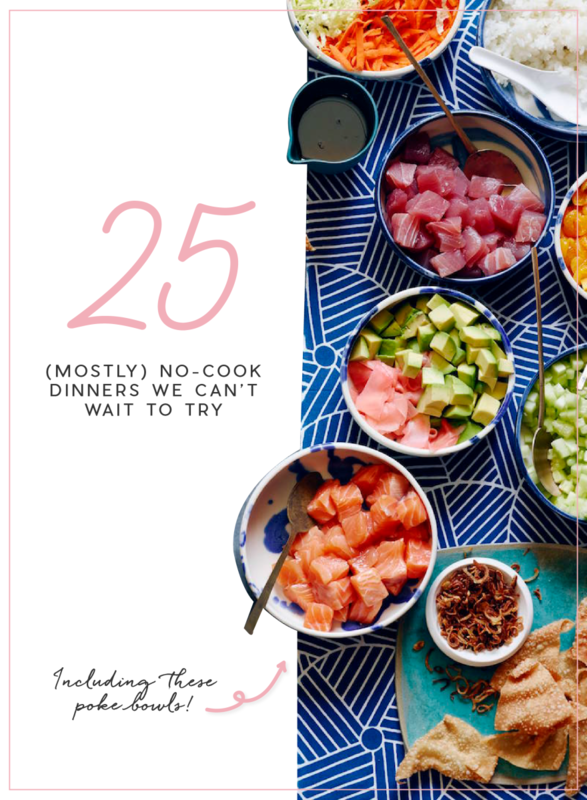 Our Creative Coordinator, Hannah, made this David Lebovitz salad the other day and couldn&apos;t stop talking about it—I&apos;m following her rave review to make it soon for G and me. 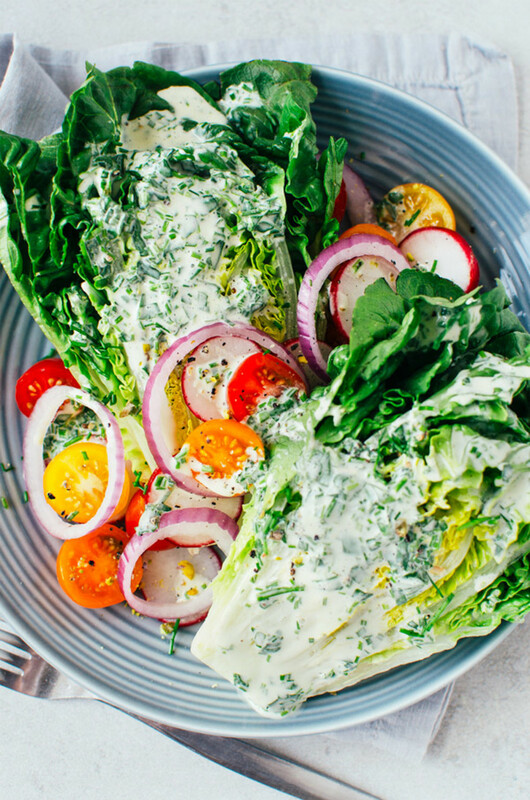 This is a salad I&apos;d never consider making for myself if so many people in our office hadn&apos;t made it and loved it, but they encouraged me to reconsider. 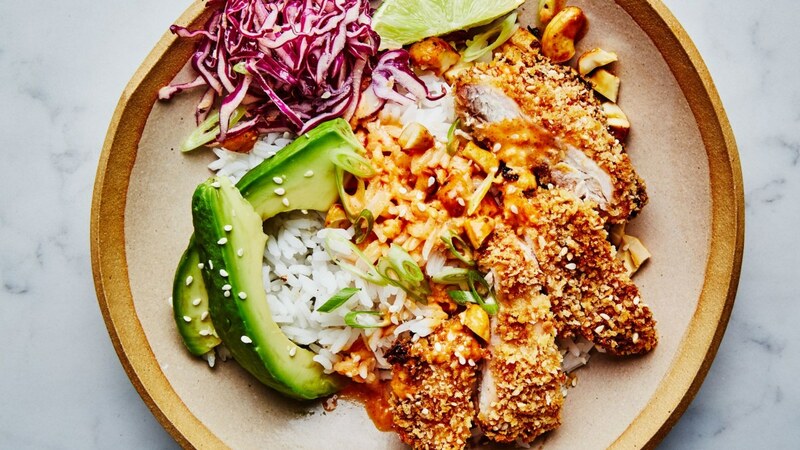 This dish is an exception to the &apos;no cook&apos; because it&apos;s fairly cooking-intensive, but it looks too good not to include here and reminds me of the pork katsu G and I had in Japan, with an American (Ranch dressing) twist. 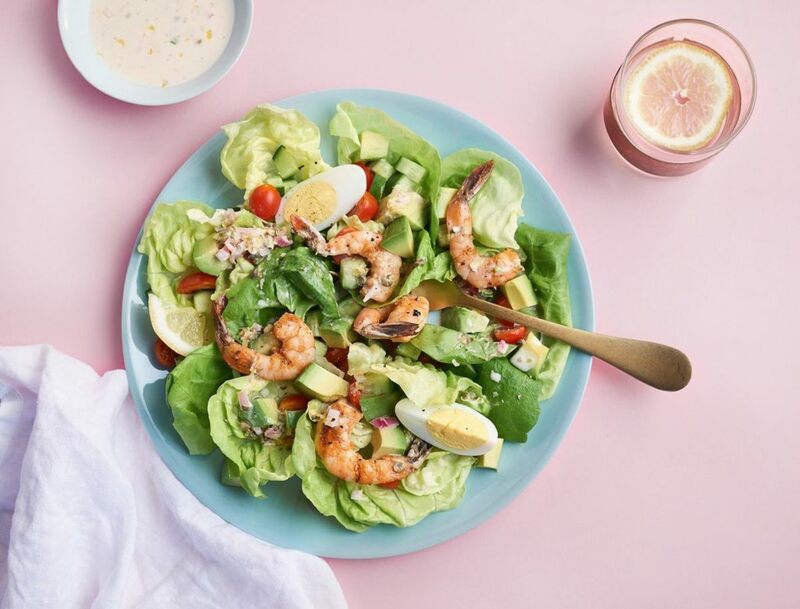 I contributed this salad to our Slack channel after G and I made it and loved it—it looks simple at first glance, but the dressing and marinade make it something really special. 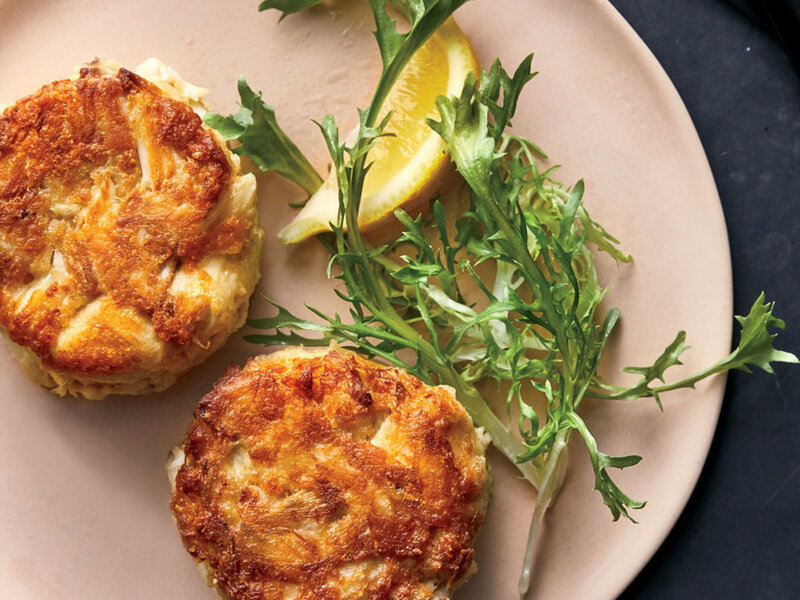 I&apos;ve always been hesitant to make a crab cake myself, despite the fact that they&apos;re one of my favorite things to order out. 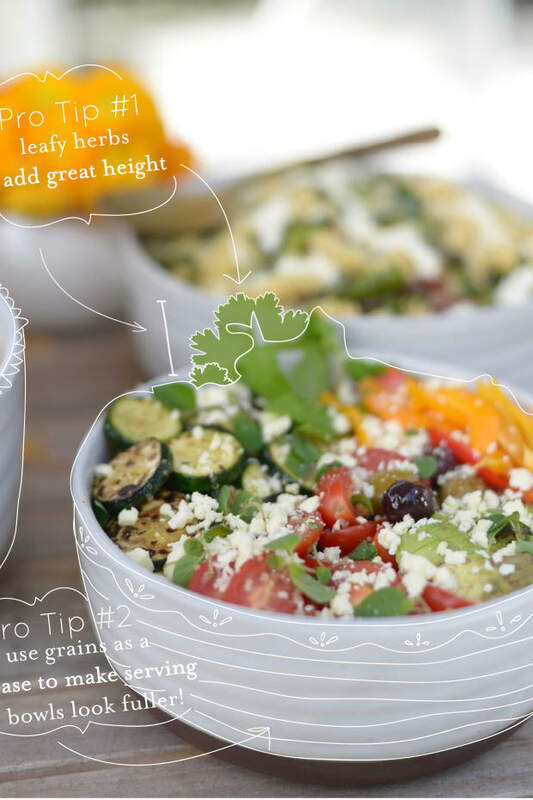 This recipe dispelled my concerns—they were so easy to pull together, and delicious over an easy salad. 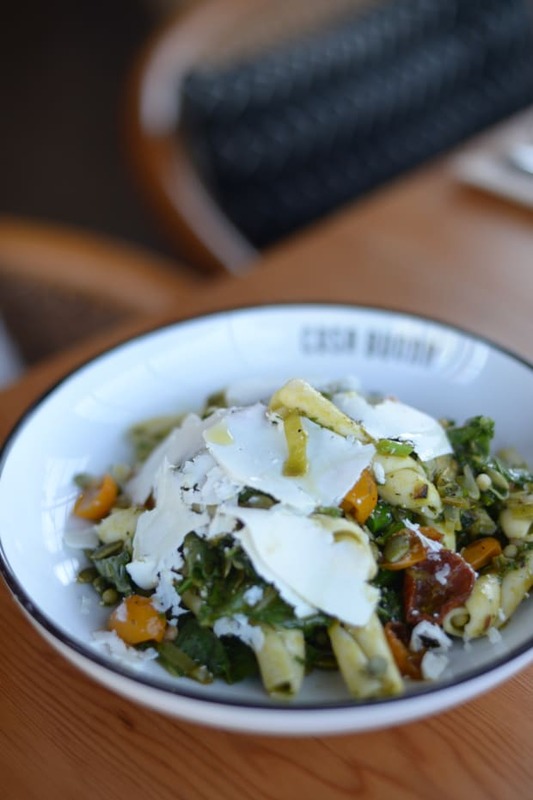 From the time our Intern Caroline joined our team in June, she&apos;s amazed us with her cooking skills (and been the most valued asset to our monthly office potlucks). 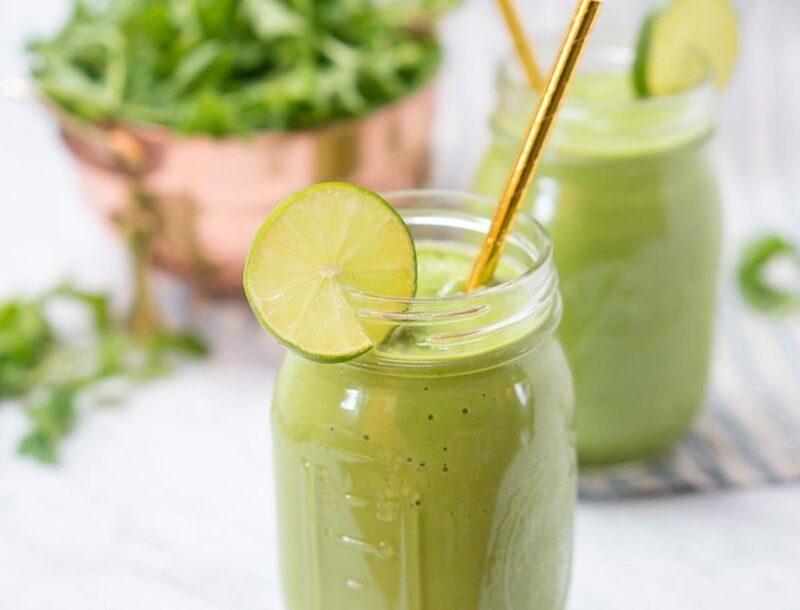 This recipe is from her cooking blog! 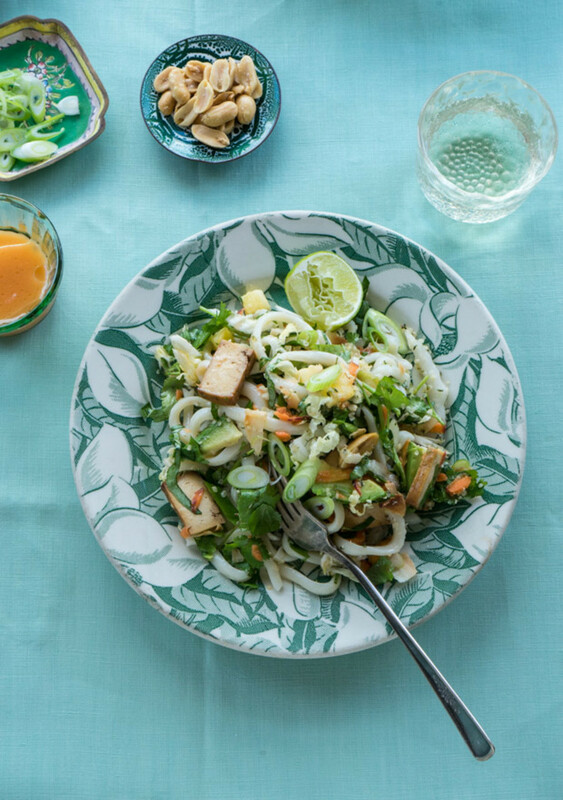 The recipes I&apos;ve tried by Ottolenghi have always been fairly intensive, but well worth the effort. It looks like this one will be no exception. 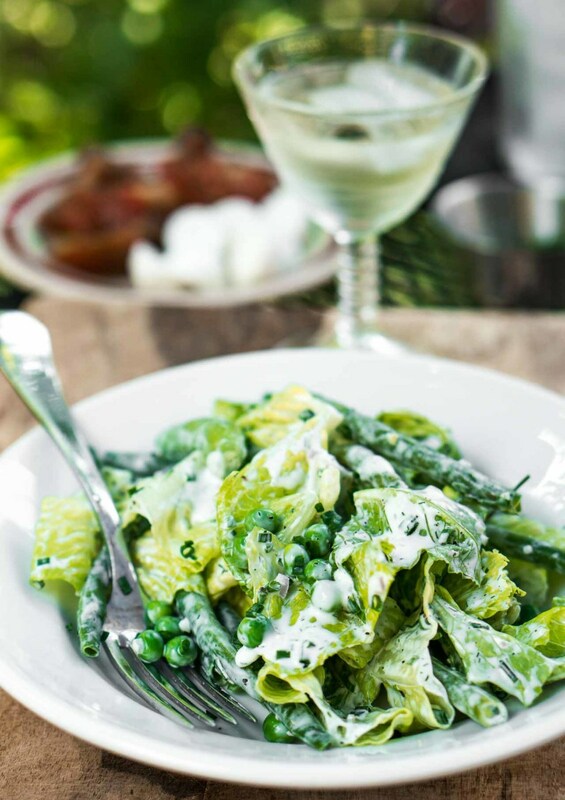 Anytime mint is in a salad at a restaurant, I love it—but rarely remember to add the bright herb to my own, which is why I&apos;m excited to try this option. 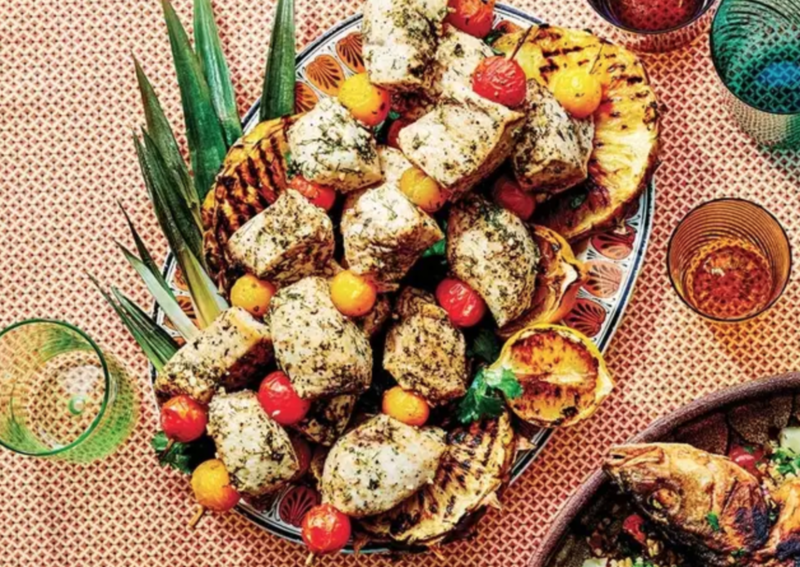 Because G usually does the grilling in our family, he&apos;ll likely be the one making these fish kebabs, while I snack on the grilled pineapple indoors (where there&apos;s A/C). 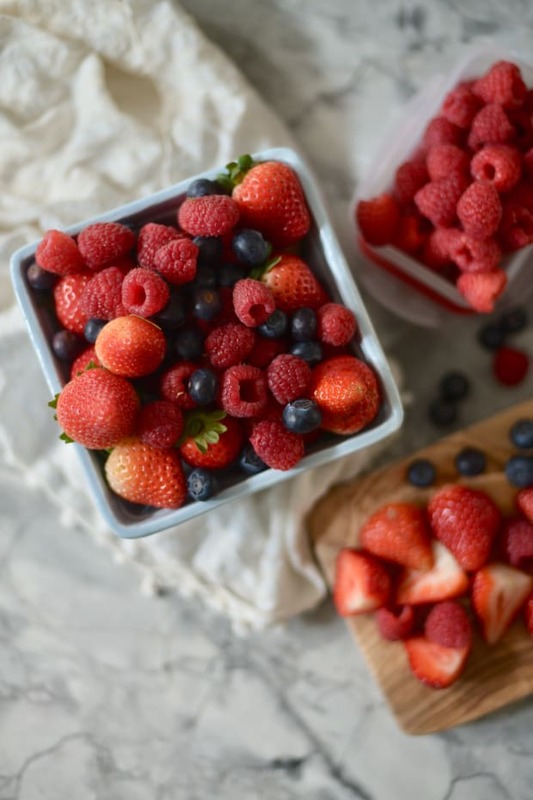 What other summer recipes should we try? Share your favorites in the comments below!